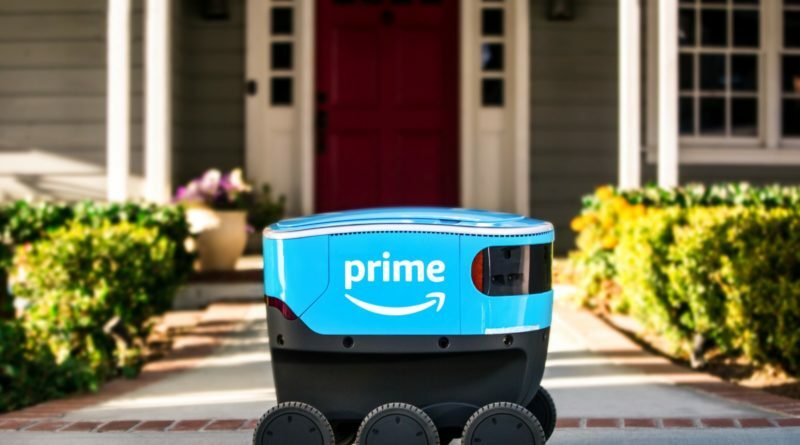 With seemingly every company on the planet experimenting with delivery robots, it was only a matter of time before Amazon got into the game. Meet Scout, Amazon’s delivery robot. The company announced today that the robot will be delivering packages to customers in Snohomish County, Washington as part of a test. Scout was developed in Seattle at Amazon’s research and development lab. The electric robot is about the size of a small cooler and rolls along the sidewalk at the speed of a brisk walk. Thanks to onboard sensors and GPS, Scout autonomously follows it’s delivery route avoiding any people, pets or other obstacles that may get in the way. Six ‘Scout’ robots will be making deliveries to customers Monday through Friday during daylight hours. Initially, they’ll be accompanied by a human Amazon employee to ensure safety. If Scout performs well in Snohomish, the company expects to expand the program to other areas along with letting the bot make deliveries on their own. “We are delighted to welcome Amazon Scout into our community. Similar to Amazon, we are always looking for new ways to better deliver service to our residents. From the latest Amazon innovation to cutting edge technology, Snohomish County is a great place for entrepreneurial creativity.” said Snohomish County Executive Dave Somers. Check out our articles on robots making deliveries in Dallas and ones that follow you through the mall.